Image credit: Turning Point Beer. 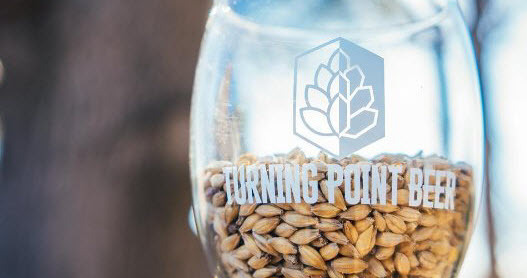 Slightly over seven months after first introducing itself to the North Texas craft beer community, Turning Point Beer has signed a lease on a location in Bedford. Getting to this point has been a battle for founders Joshua Davis, Jon Paul Goytia, Alex Knight and James Peery. Attempts to obtain financing to fund their venture were a challenge early on, which led the group to go on a barnstorming tour during the first quarter of 2017 as a way to attract investors. That effort proved fruitful, but then there were issues with the site of their chosen location. A contentious hearing in front of the Bedford City Council followed, but Turning Point persevered and is now armed with a plan of action. "Literally for all of us, getting to this point has been the biggest obstacle we've ever tried to overcome," says Knight, who will serve as head brewer for the company. "Where we are now is not only incredibly unreal, but none of us were really sure this would ever happen." Goytia echoes that statement, but is quick to point out that they believe the struggle has been worth it. "The general consensus amongst the four of us is excitement," adds Goytia. "We all know that this is a big step forward to truly getting the chance to open our doors, but also to finally get the opportunity for DFW craft beer enthusiasts to try our beers." Part of the plan going forward, of course, involves renovating and equipping the brewery's new home at 1307 Brown Trail. There, the group will be working with around 6000 square feet of usable area. Naturally, a portion of that will be set aside for a taproom, with the rest reserved for production. Prep work on the space has already begun, but there's still the matter of lining up contractors, planning the build-out, and taking delivery of equipment obtained from a defunct operation in San Antonio. 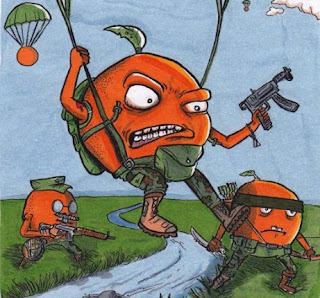 Artwork for the brewery's Pulp Series of East Coast hoppy beers (Turning Point Beer). "We are starting with a two-vessel, 10-barrel brewhouse, five 20-barrel fermenters and a 20-barrel brite tank," says Goytia. "This set up is exactly the size we felt was ideal for us to be able to rotate beers often, while continuing to have fun with art of brewing." Utilizing that system, Turning Point plans to launch with 8-10 beers. "Our main focus will be our Pulp Series, which consists of Some Pulp NE-style Pale Ale, Extra Pulp NE-Style IPA and Heavy Pulp NE-style Double IPA," reveals Goytia. "We are still deciding on others, but Cup of Excellence imperial coffee stout should be one of the draft options for sure. Maybe the public can give us some great feedback to help with other beers we are deciding on!" "Our Goal with Turning Point Beer from day one has been to contribute to the local craft beer scene we know and love, and that focus has never wavered," states Goytia. "We want to be known for some of the highest quality craft beer in this great state, as well as having an exciting fresh take on trending, unrepresented styles. We also want to exist as the forerunners of consistent innovation. At the end of the day, we want people to relate not only to our product, but also to us as four guys that love craft beer and love to talk about it. That is why Turning Point beer will exist." Stay up to date on the brewery's progress by following Turning Point on Facebook.